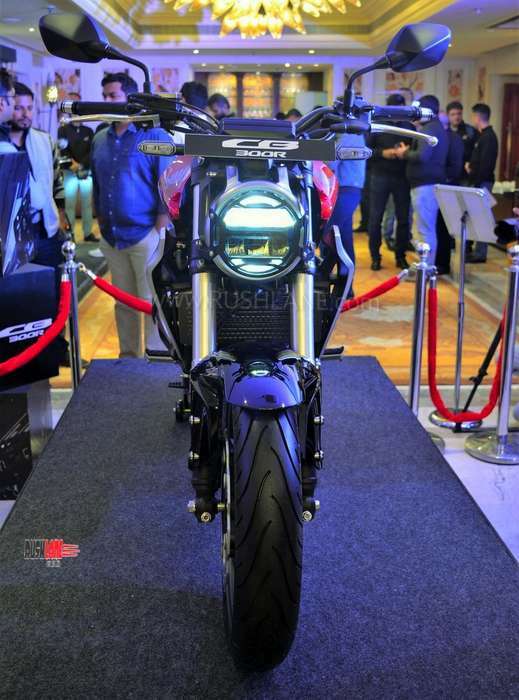 Honda CB300R chassis is constructed with tubular and pressed steel making it the lightest bike in its category. 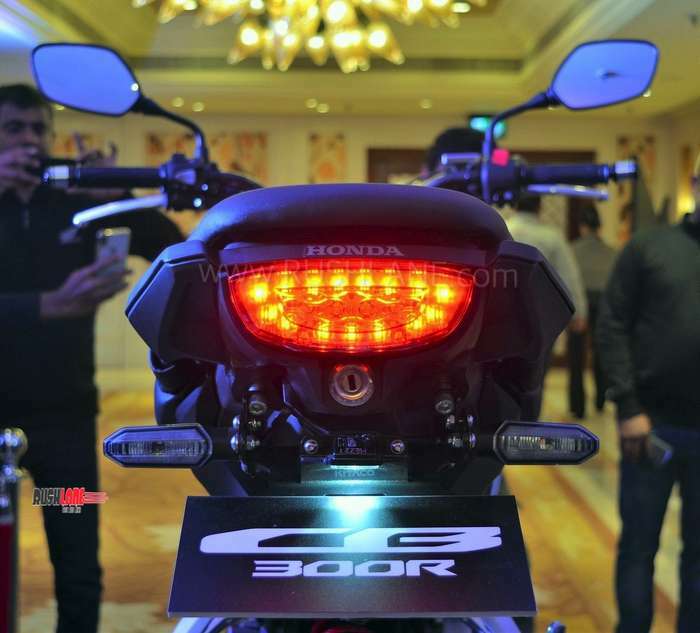 After much speculation, sightings, leaked images and spyshots, Honda Motorcycle and Scooter India have now launched the Honda CB300R in India. 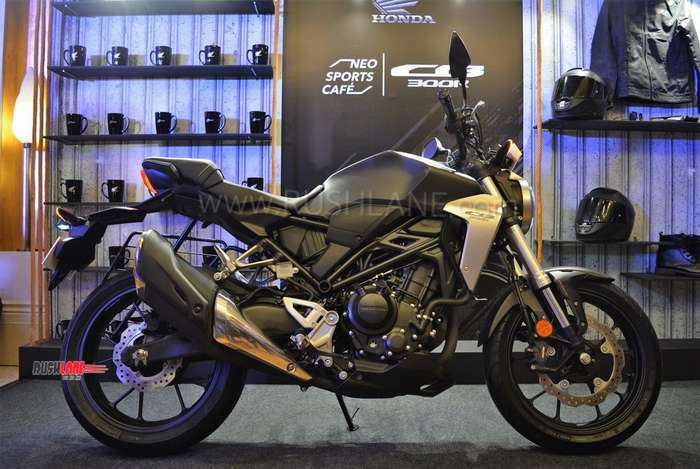 It will be sold via select Honda dealerships, only 22 across India. 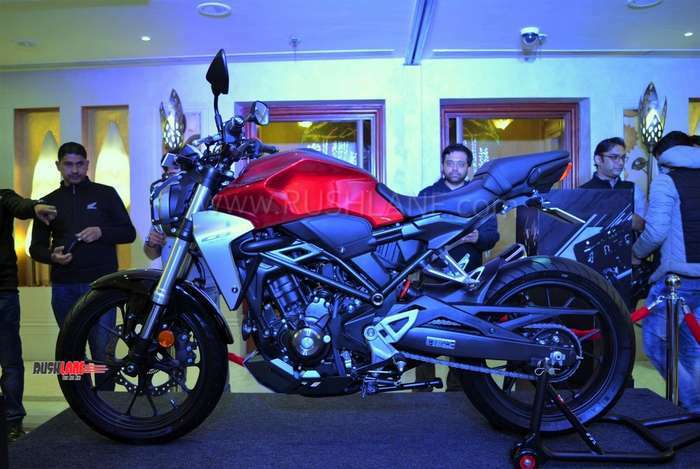 Bookings are open at a down payment of Rs.5000. 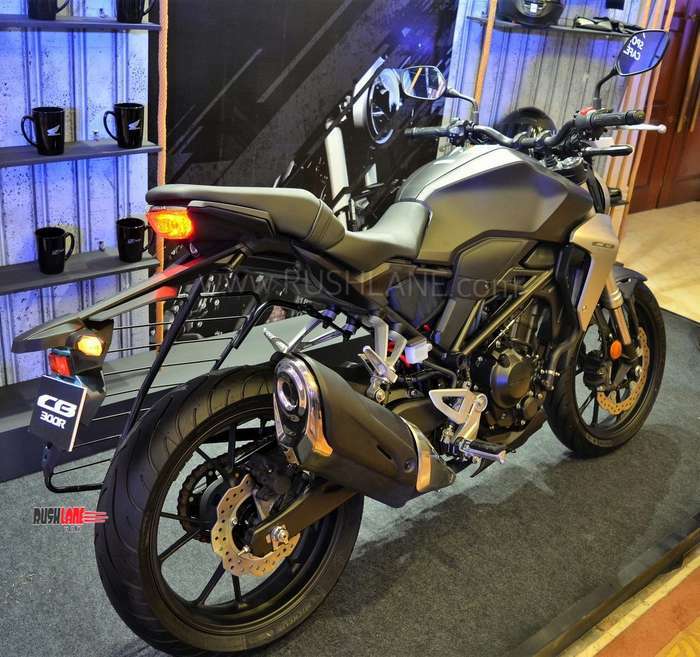 2019 Honda CB300R is priced at Rs. 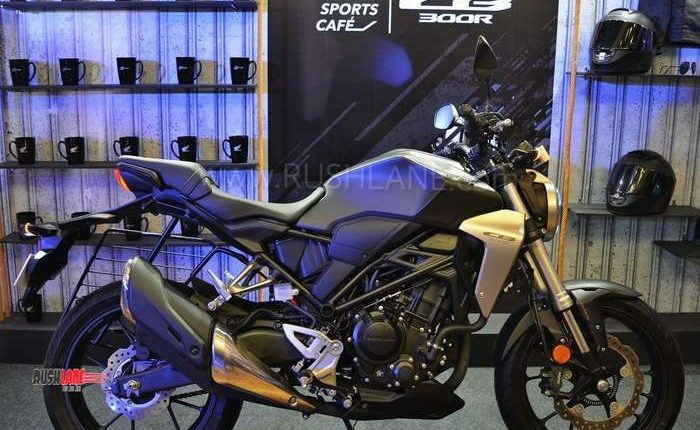 2.41 lakhs, ex-sh in India. 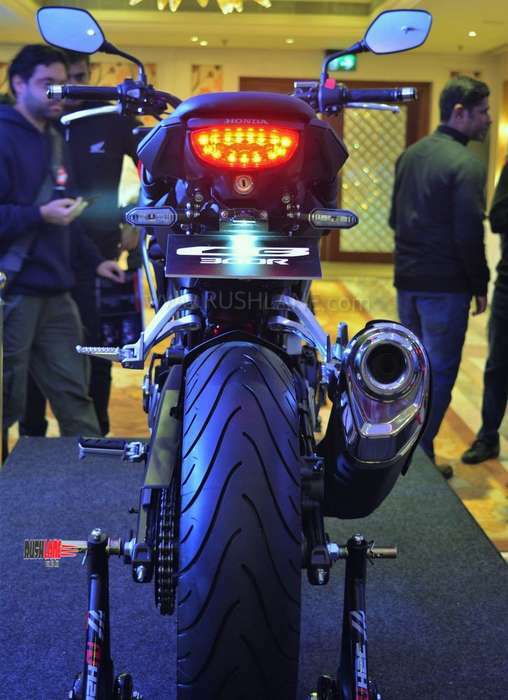 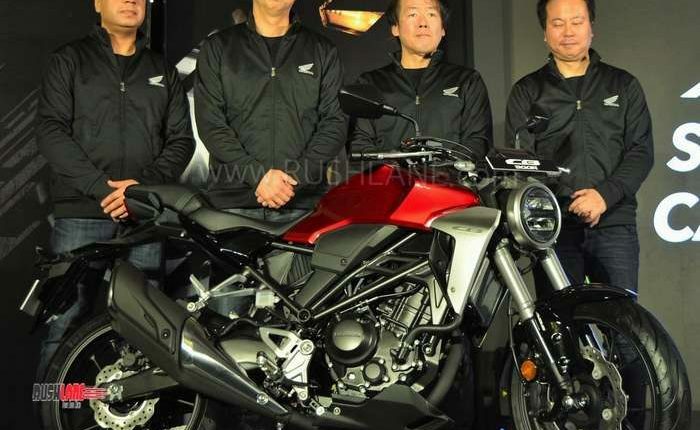 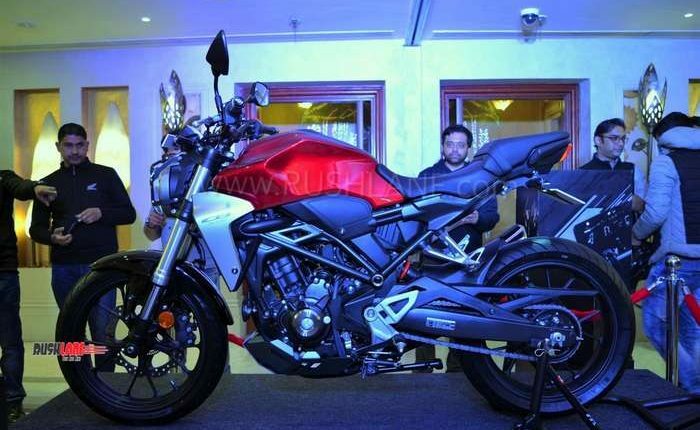 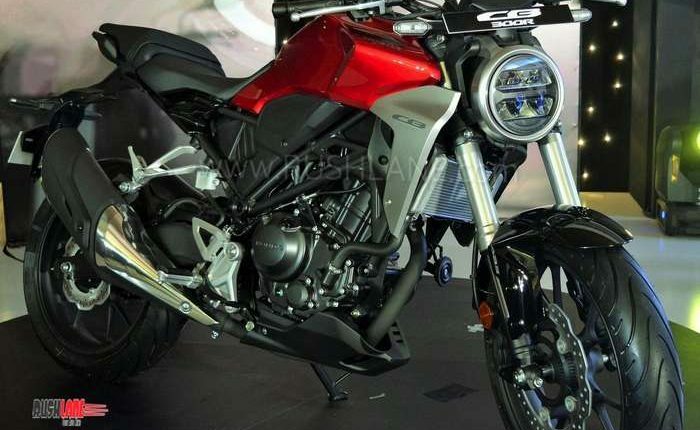 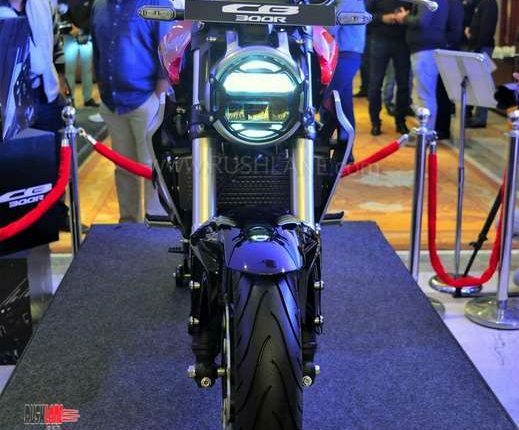 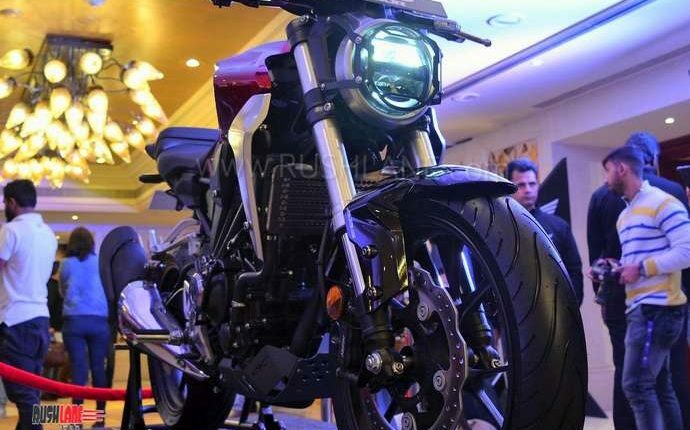 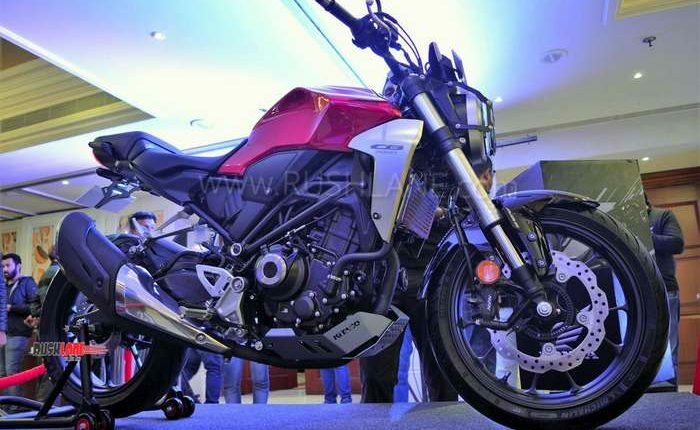 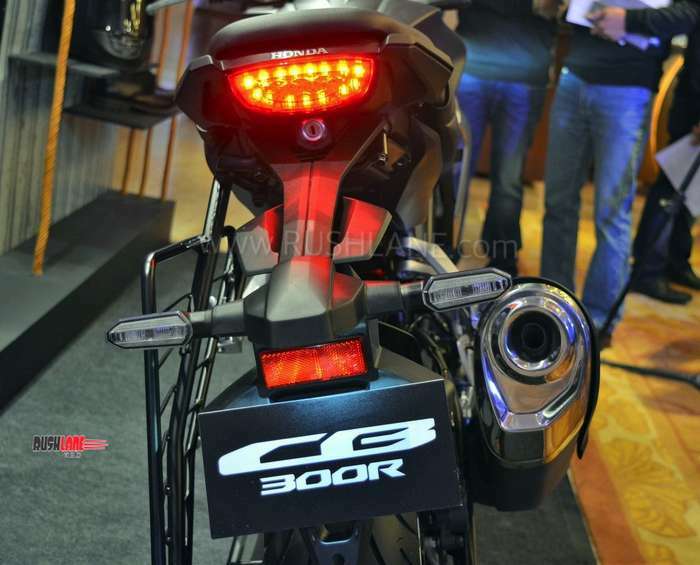 At the launch event, Honda said that they have received a good response for CB300R. 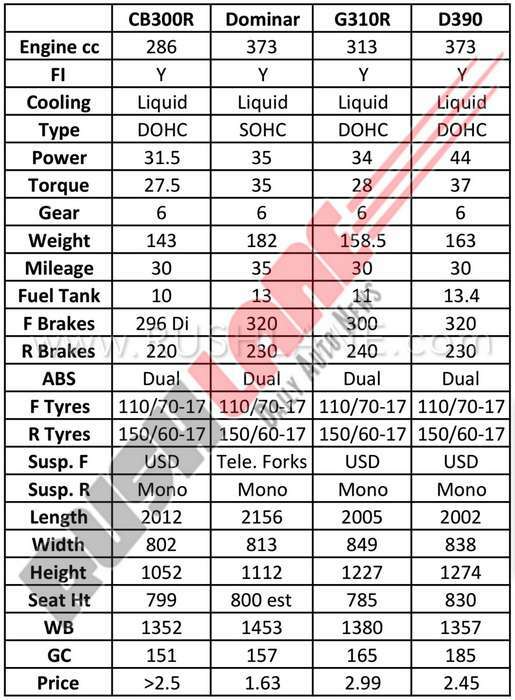 Booking numbers were not revealed, but the company said that they already have received 3 month worth of booking orders. 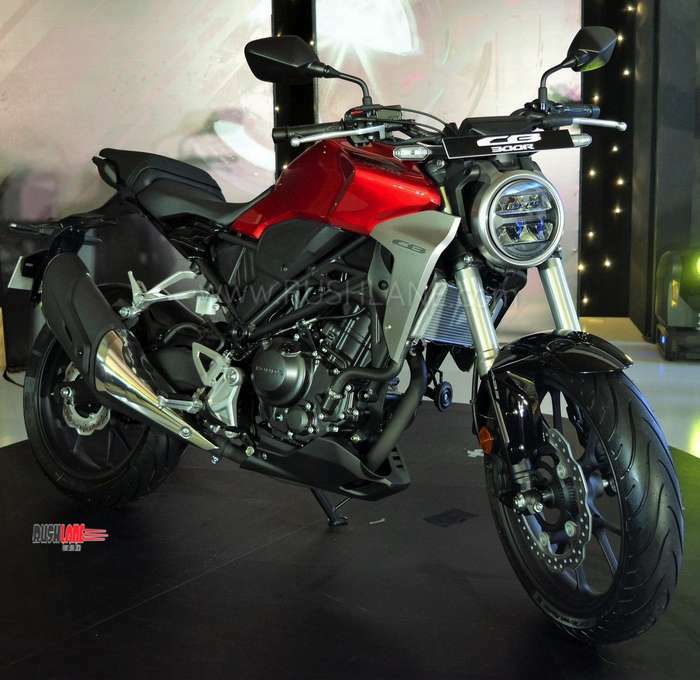 This means that if you book the bike today, you will have to wait for a minimum of 4 months for delivery. 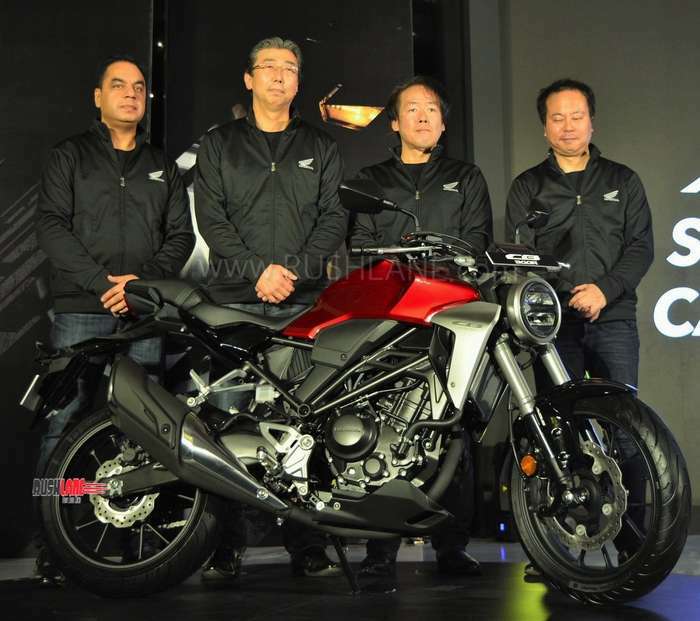 First batch of deliveries will only start from 3rd week of March 2019. 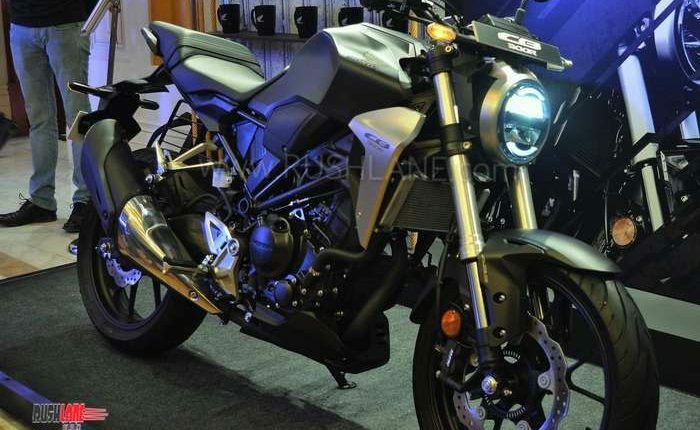 Honda CB300R comes in via the CKD (Completely Knocked Down) route for the domestic market. 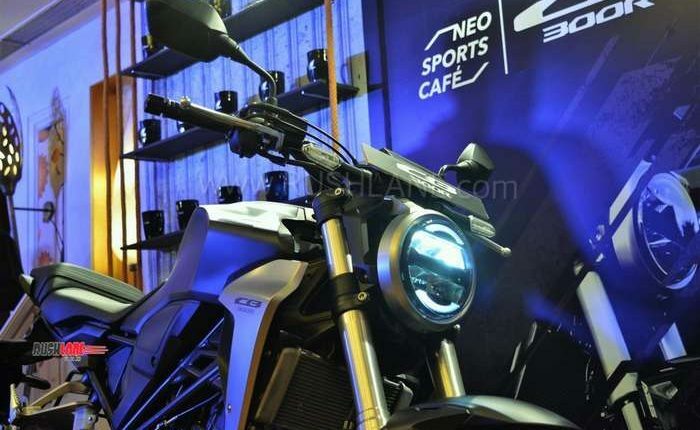 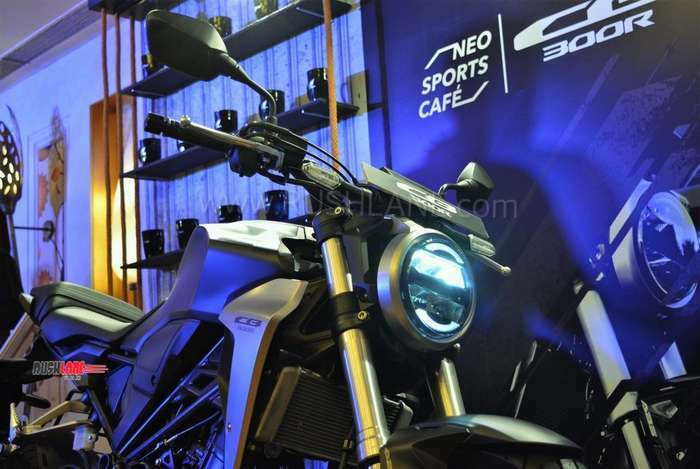 Its design is based on the Honda Neo Sports Café concept. 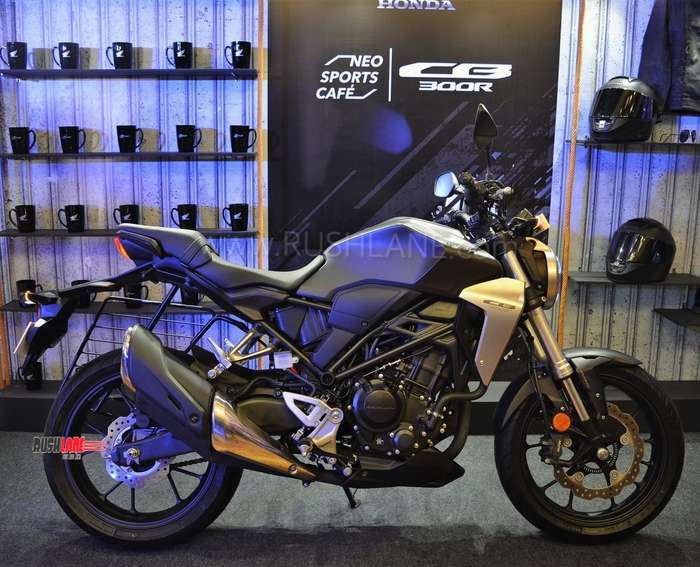 Smaller in size as compared to the Honda CB1000R, the CB300R enters the 200-500 cc segment as the lightest bike in its category. 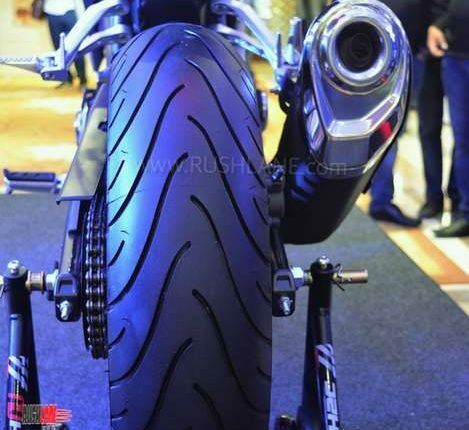 It is based on a framework which is constructed with tubular and pressed steel. 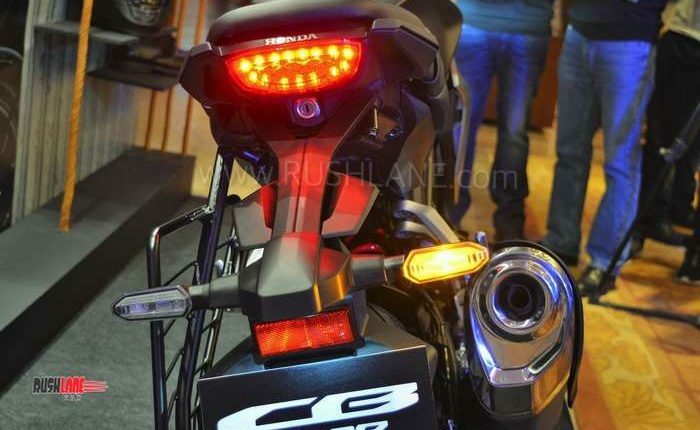 Offered in two color choices of Matte Axis Gray Metallic and Candy Chromosphere Red; on board features include all LED lighting which also includes indicators and a round thin LED DRL with built in signature horse shoe shaped light guide – which ensures better visibility. 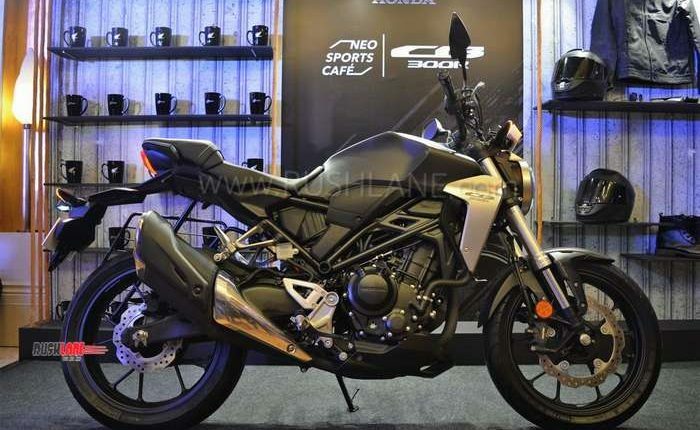 Picking up styling cues from CB1000R, the CB300R gets a sculpted fuel tank of 10 liter capacity, seat design and tank shroud with CB badging. 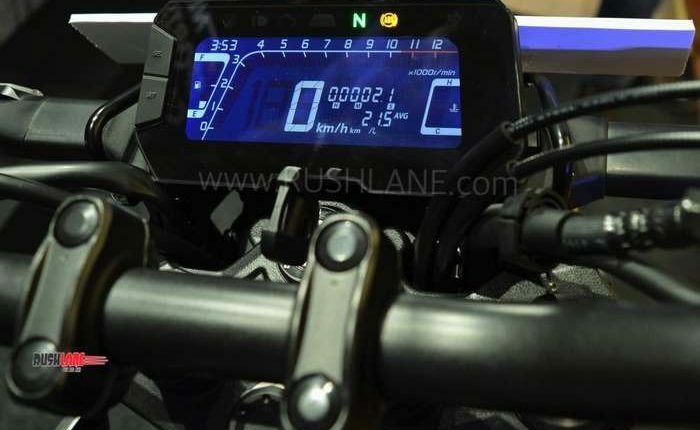 The LCD instrument panel has been designed to give perfect visibility even under direct sunlight and offers gear shift warning light. 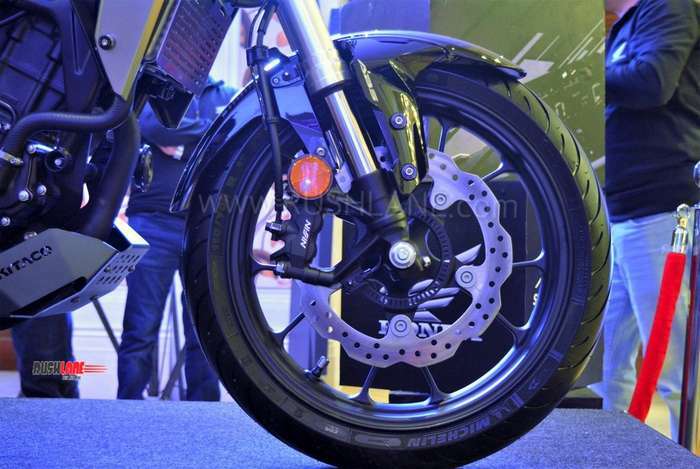 The bike receives Peak Hold Function which ensures better performance along with taut handling. 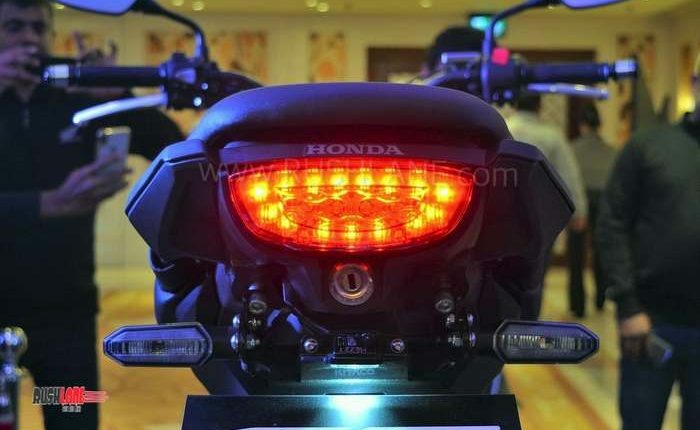 The new Honda CB300R also gets tapered handlebars with 40 degree turning angle for quick response. 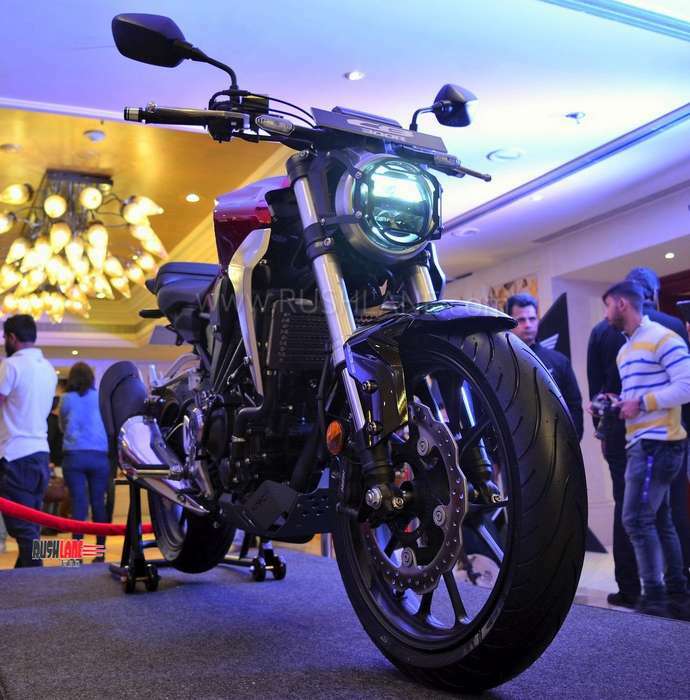 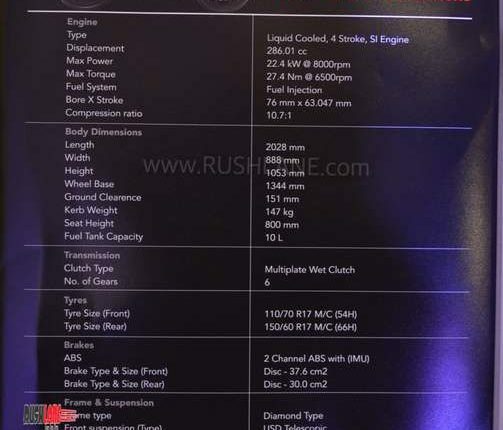 Honda CB300R gets its power via a 286cc, liquid cooled, DOHC, single cylinder engine offering 30.9 bhp power at 8,500 rpm and 27 Nm peak torque at 7,500 rpm mated to a 6 speed gearbox while dual channel ABS is offered as standard. 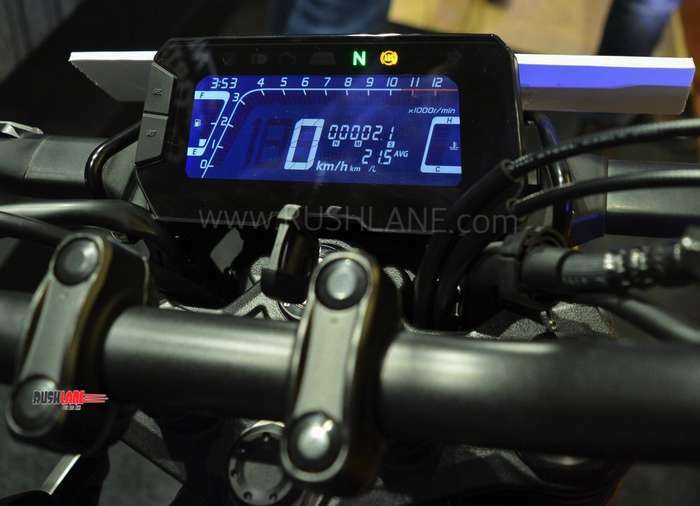 There is also ABS G-Sensor while IMU – Inertial Measurement Unit offers equitable front to rear distribution of ABS based on vehicle posture and offering optimum control to rider in the event of sudden braking. 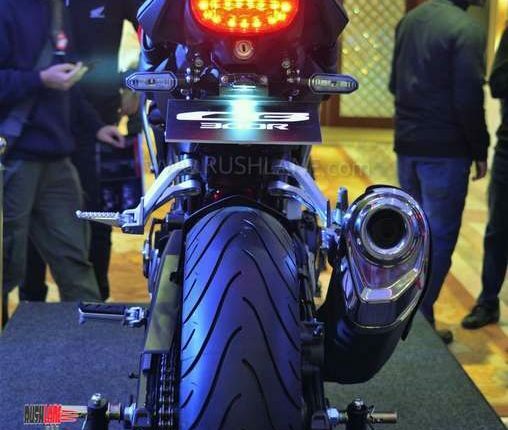 Honda CB300R gets 41mm upside down forks in the front and monoshock at the rear with 7 step preload adjustability. 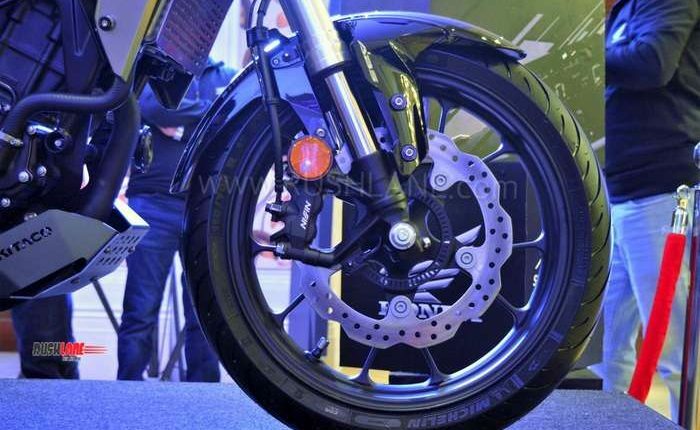 Braking is via 296 mm floating disc in the front and 20mm disc with single piston caliper at the rear. 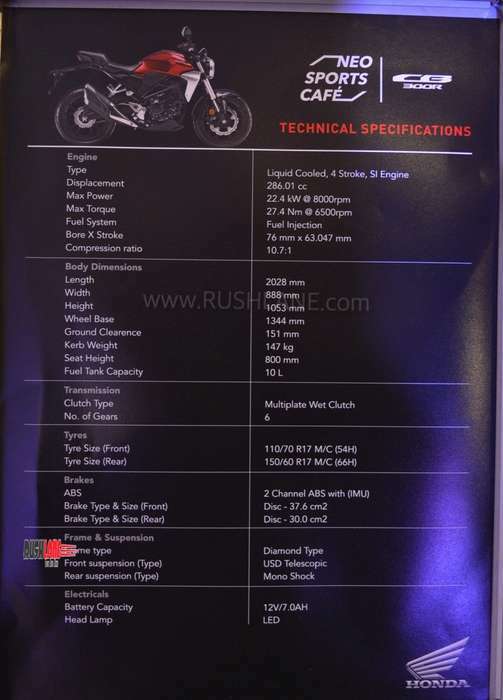 In terms of dimensions, the new Honda CB300R measures 2,012mm in length, 802mm in width and 1.052mm in height. 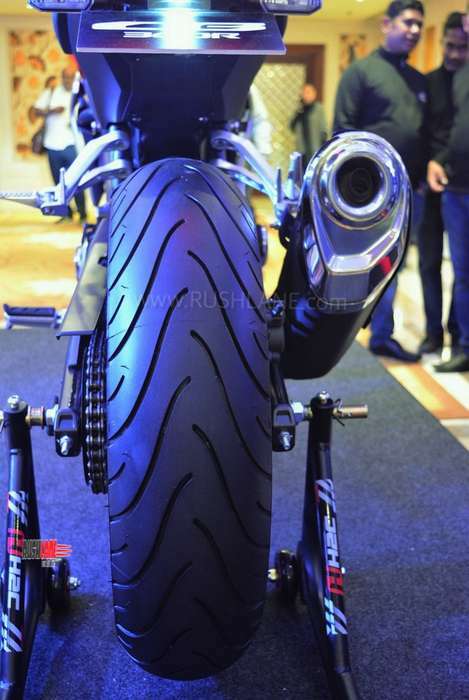 It gets a wheelbase measuring 1,352mm and seat height of 799mm. 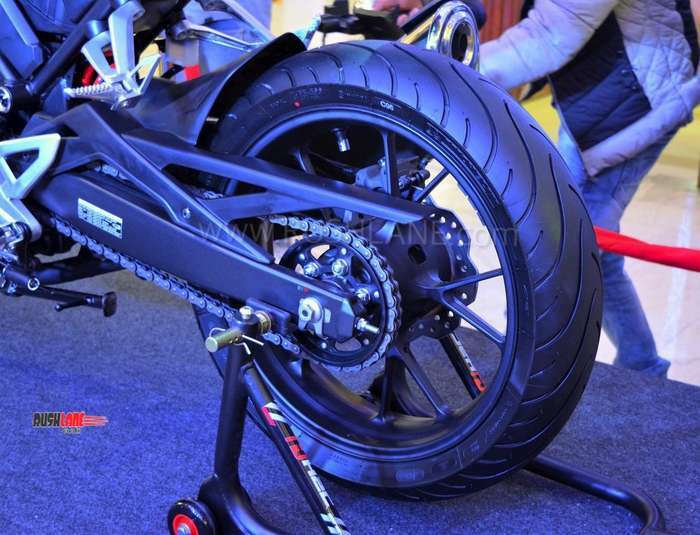 Ground clearance stands at 151 mm while kerb weight is at 143 kgs. 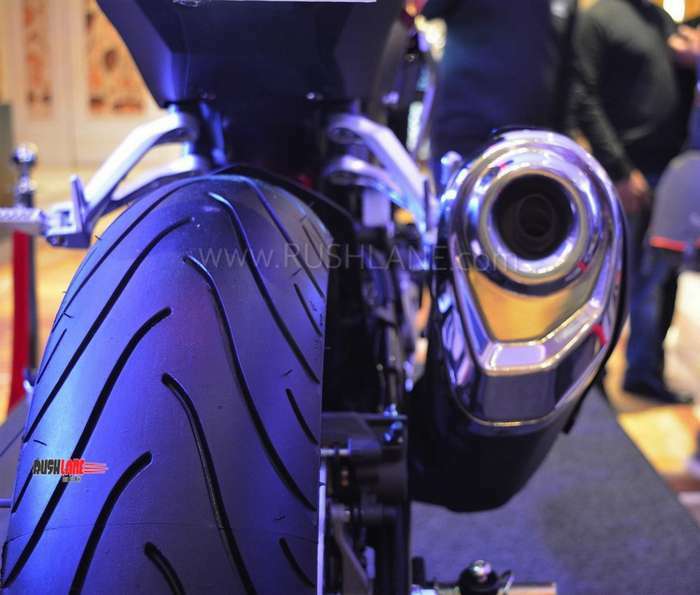 Wheel size is of 17” at the front and rear fitted with 110/70R 17 M/C 54 H tyre in the front and 150/60R 17M/C 64 H at the rear. 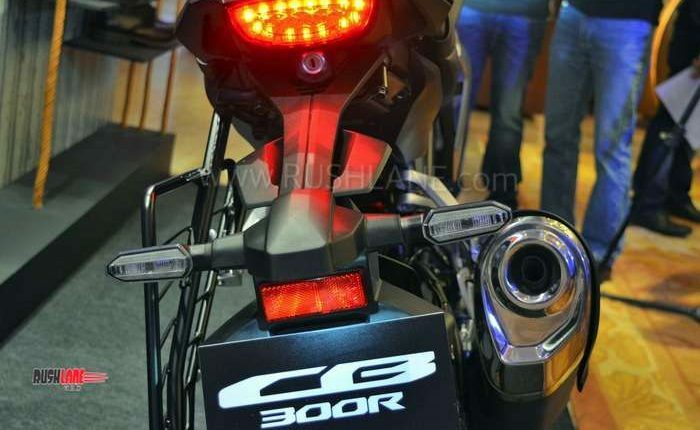 The all new Honda CB300R will be on sale via 22 dealerships in the country. 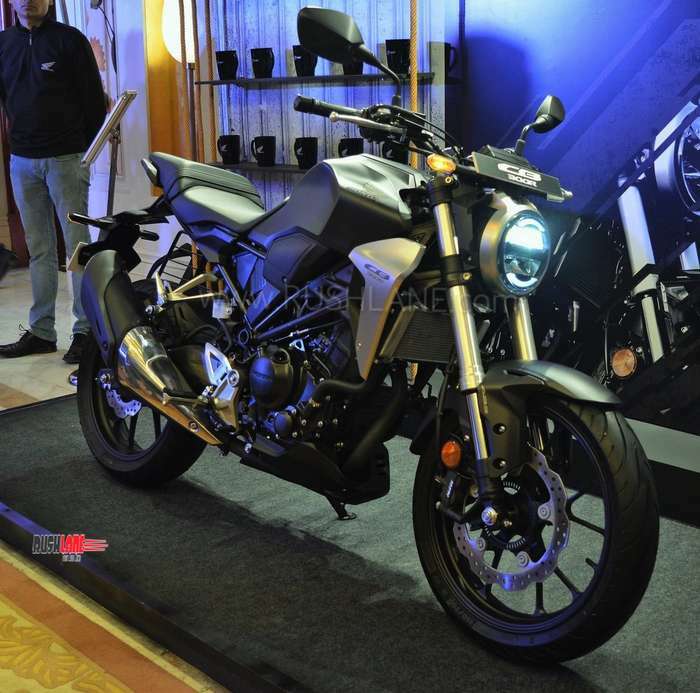 It enters a segment where competition will heat up even further once the Husqvarna bikes make their way to India. 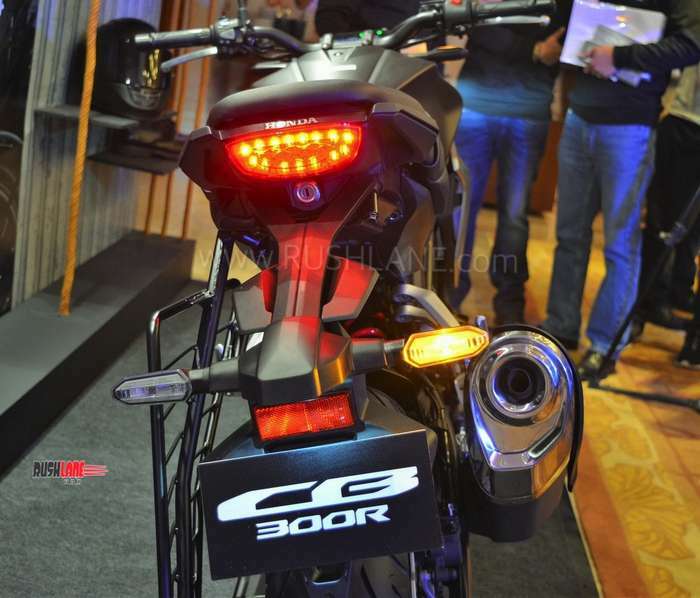 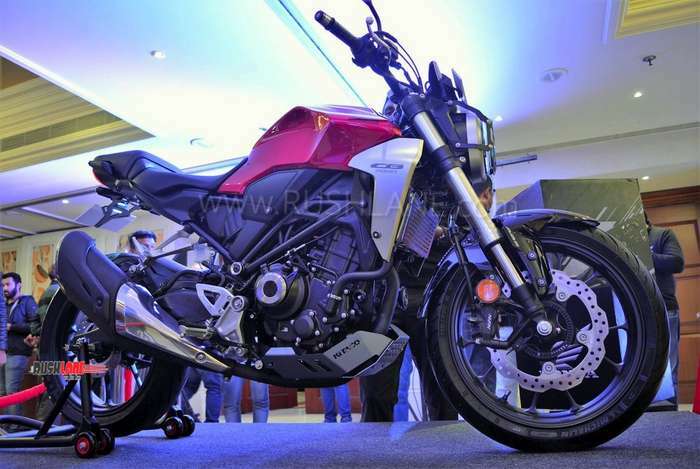 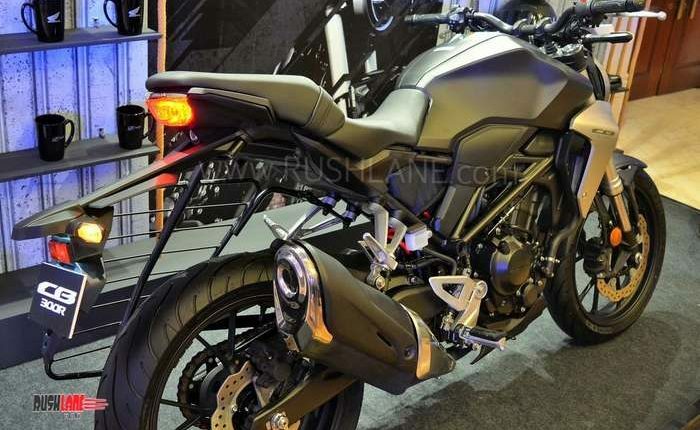 In terms of competition in the current 300cc segment, the CB300R will contend with the BMW G310R, KTM 390 Duke, Bajaj Dominar, Royal Enfield as well as Jawa.